Benzodiazepines and Dementia: Is There A Link Between Them? Till sometime earlier, the use of Benzodiazepines and dementia risk were strongly associated. However, new studies suggest a contradictory result. This has certainly raised the issues regarding the safety of these CNS depressants. It is especially worry-some in older patients. Benzodiazepines or simply Benzos are a class of depressant medications. People use them to treat various medical conditions. For example, anxiety, panic attacks, seizures, insomnia and abnormal muscle contractions. In addition, the doctor may use it before a major surgery to relax the muscles. Diazepam, Nitrazepam, Clonazepam, and Clobazam are some commonly used Benzodiazepines. They alter the activity of certain brain chemicals. Notably, a brain chemical which they call Gamma Aminobutyric Acid (GABA). As a result, they have a calming effect on the stressed mind, muscles and other body functions. Because of this, Benzodiazepines carry a serious risk of addiction. This is the reason why the doctors recommend a precautionary use. Approximately 8.7% adults aged 65-80 years used a prescription Benzo in 2008. This is almost four times of the number of younger individuals. (18-35 years) These are people who received similar prescriptions in the same year. This is according to a study conducted by the National Institutes of Health (NIH) in 2014. Therefore, the concern for dementia in older patients is essentially reasonable. This is considering the fact that a major part of dementia patients are old individuals. Dementia is a broad term that refers to a gradual loss of mental activity. It affects how a person thinks, behaves and performs daily activities. Forgetfulness is one of the main symptoms seen in these patients. In addition, they may also have some problems with language. The known causes are Alzheimer’s disease, injury to the brain, HIV, and stroke. It is not curable. However, medications may slow down the disease progress and reduce the symptoms. What do Studies say About the Link Between Benzodiazepines And Dementia? The association between the use of Benzodiazepines and dementia is quite interesting. In fact, they have been discussing this for a long time in the scientific community. And the results are somewhat contradictory to each other. “Benzodiazepine use and risk of incident dementia or cognitive decline: prospective population based study”. The study is in BMJ from 2016. This study found individuals 65 years or above who used a benzo. They have been using it for around a decade. They had a higher risk of dementia. However, they found the risk to be minimal. But again, this result does not verify the claim.Dementia as a side effect of Benzodiazepines long-term use remains unconnected. Even so, the researchers suggest a cautionary use in old individuals. That way, they might be able to reduce or take away the risk of an addiction and withdrawal. “Association between Benzodiazepine Use and Dementia: Data Mining of Different Medical Databases.” You can find this in International Journal of Medical Sciences, 2016. This study suggests a strong link between long-term use of benzodiazepines and dementia. In addition, the risk becomes higher when you use long-acting benzodiazepines. For example, Chlordiazepoxide, Clobazam, Clonazepam, and Diazepam. “Benzodiazepine Use and Risk of Developing Alzheimer’s Disease or Vascular Dementia: A Case–Control Analysis”. It is from Drug Safety in 2015. This study clearly rejects the theory that benzodiazepines could cause dementia. Conclusion: What It Means For The Patients? There may be a link. However, they have not been able to show a “cause and effect” relation between these two. This is according to his studies conducted till date. Older patients may be particularly at a greater risk. This is because dementia is more commonly seen in the older patients. However, it is not a part of normal aging. Also, the risk of fall, accidents, and confusion is higher in this population. This is when they use a benzo. Therefore, as of now, there is no strong evidence that shows benzos as a cause of dementia. You can expect to see a clearer picture in the future. All things considered, you should not discontinue it without first consulting your doctor. The benefits of using it are higher than the risks. Also, there are risks of stopping the medications and resultant complications. As a result, it clearly outweighs the risk of dementia. Of course, benzos are powerful medications that may be addictive. This may be more likely if you take it inappropriately or for a long time. Do you think someone you love has an addiction? 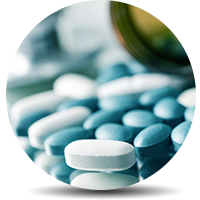 You should talk an addiction counselor at benzodiazepine rehab facility. They can teach ways to deal with the cravings, prevent relapses. Finally, the addict will be on their way to a full recovery. Looking for professional medical help for Benzodiazepine addiction? Get the best rehabs page here. Addiction Resource » Addictive Substances: The Anatomy of Drug Addiction » Key Facts About Benzodiazepines and Abuse of the Medication » Benzodiazepines and Dementia: Is There A Link Between Them?